Costa del Sol biggest summer social & sporting festival has started on July 25th, 2018. 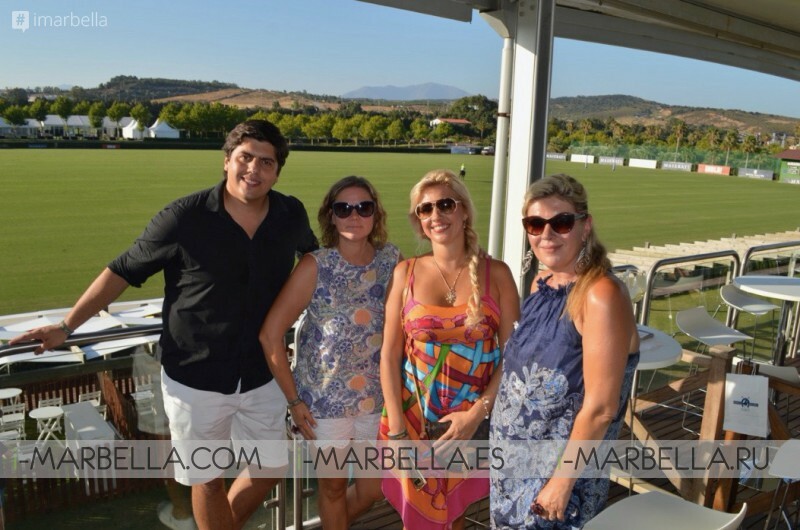 The 47th International Polo Tournament with Five weeks of high altitude sports and alternative leisure in Santa María Polo Club, Sotogrande. The European polo season has begun and the 10 goal world-class players are looking forward to being the winners. The figures itself show the importance of the International Polo Tournament, considered one of the four most important in the world and the first in continental Europe: last year there were 95,000 spectators. In this 47th edition will participate 18 teams with players of different nationalities, among which four world top ten players stand out: Facundo Pieres, David Stirling, Juan Martin Nero and Pablo MacDonough. During the tournament, there are three trophies: Maserati Gold Cup, Appletiser Silver Cup and Estrella Damm Bronze Cup, each with three levels: low, medium and high handicap. It has scheduled a hundred games over 35 days. Top players in the world every season need valuation this is a constant sport all year around different places in the world. But What is Polo And How Is It played? The Sport of the Kings back to the playing fields of Sotogrande, Polo is a team sport played on horseback. The objective is to score goals against an opposing team. Typically, this sport is practiced by people with high standards. Polo is a fast, exciting and fun sport, there’s quite nothing like a polo game. Polo is fast-paced and the ball can reach speeds of 100 miles per hour. A polo chukker (or period of play) is seven minutes and most are played to six chukkers. After the first seven minutes, horses can be changed for fresh legs as many times as a team wishes and are ready waiting for players throughout the game. Usually, people of leisure enjoy playing Polo so they lease a team composed of 3 persons plus and one extra back up player. Every player has 5-10 horses. Each horse costs around 200,000 - 300,000 dollars, so yes that's why is commonly referred to as the "Sport of Kings." The Polo Season in Marbella is for over a month, starting off on July 25th to the 1st September 2018. Top players get paid around 250,000 USD. So it's common for watching Polo teams traveling around the world with their whole families and very often with horses too. Children have nannies and school teachers with them. Horses have whole team players or simply horse handlers taking care of them. As a side note: It's worth to mention that team owners don't get money out of this, In this regards, it's just a hobby. This year in Sotogrande Santa Maria Polo club season 2018 we will watch teams from all over the worlds as mentioned before, to name a few; teams from Dubai, Brunei, Hungaria, UK, USA, Argentina. Dubai team owner is Rashid Al Habtoor is a 35-year-old billionaire Arab financier who has played polo with Prince Charles and counts Prince Michael of Kent, Omar Sharif and Jean-Claude Van Damme among his friends. He has been seen quite often in Marbella where he holds a private summer party. Santa Maria Polo Club itself is an ideal place where families or friends can spend time together. There’s plenty to do at Santa Maria Polo Club during the tournament – a shopping village, pop-up children's play area, bars, lots of socializing and after parties with live music and DJs. Friday and Saturday nights are the busiest during the month-long tournament. Join us for over 30 days of thrilling evening entertainment! 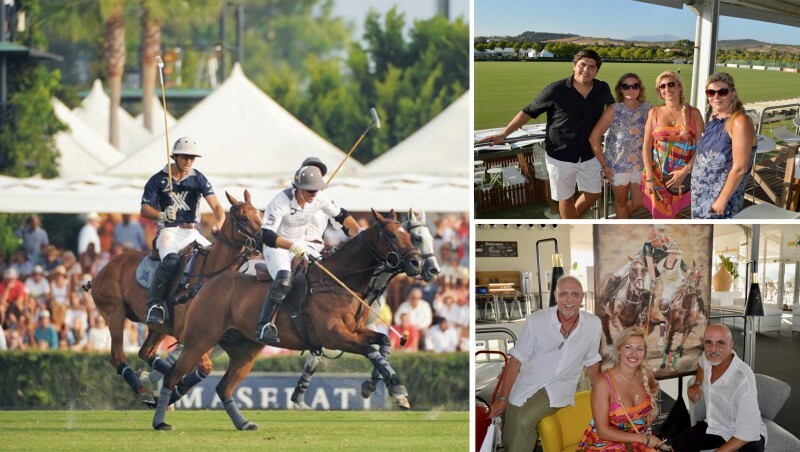 Plus fashion boutiques, bars & places to eat Santa María Polo Club See calendar and play times. The International Polo Tournament is an event that attracts media attention and is visited by thousands of people, many of them tourists and residents of the Costa del Sol. Beyond the competition, this event is a meeting point for those They look for an alternative plan to have fun in the company of family or friends.